Chinook salmon. Image courtesy of NOAA. Lead entities develop strategies that guide where state and federal money will be spent. Lead entities coordinate projects that spur local and rural economic development by creating and maintaining family-wage jobs. Restoration funds invested by Washington State are leveraged 3 to 1. Lead entities spearhead efforts to recover and sustain salmon populations necessary for viable recreational and commercial fisheries throughout Washington State. Lead entities prioritize projects to maximize the public’s investment. Lead entities use habitat strategies and priorities in their recovery plans to guide project lists. This approach ensures that projects will be done in a sequence that produces habitat capable of sustaining healthy populations of salmon. Lead entities combine local science and social values to identify salmon recovery projects. The complementary roles of the local technical and citizens committees ensure that science and community priorities intersect and that the highest priorities of the watershed rise to the top. 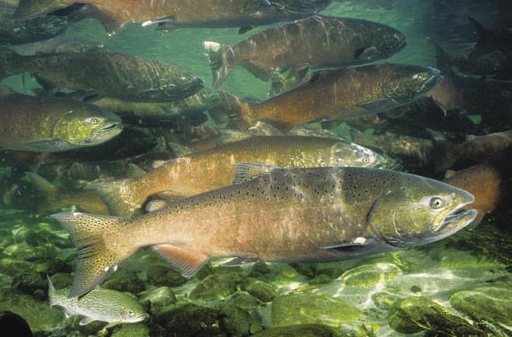 Lead entities are the nexus for science based, citizen supported salmon habitat recovery efforts, providing a coordinated, efficient, and effective response to the Endangered Species Act. Lead entities are the backbone for locally-based recovery efforts, bringing together tribes, federal and state agencies, local governments, citizens, non-profits, business, and technical experts to make local decisions. Lead entities involve a wide range of participants as project applicants, committee members, technical experts, and on the-ground volunteers. Involving these diverse groups’ helps lead entities better understand the needs of fish and how to best protect and restore habitat. Recent reports from Puget Sound lead entities are linked below. The Recreation and Conservation Office (RCO) is a small state agency that manages grant programs to create outdoor recreation opportunities, protect the best of the state's wildlife habitat and farmland, and help return salmon from near extinction.